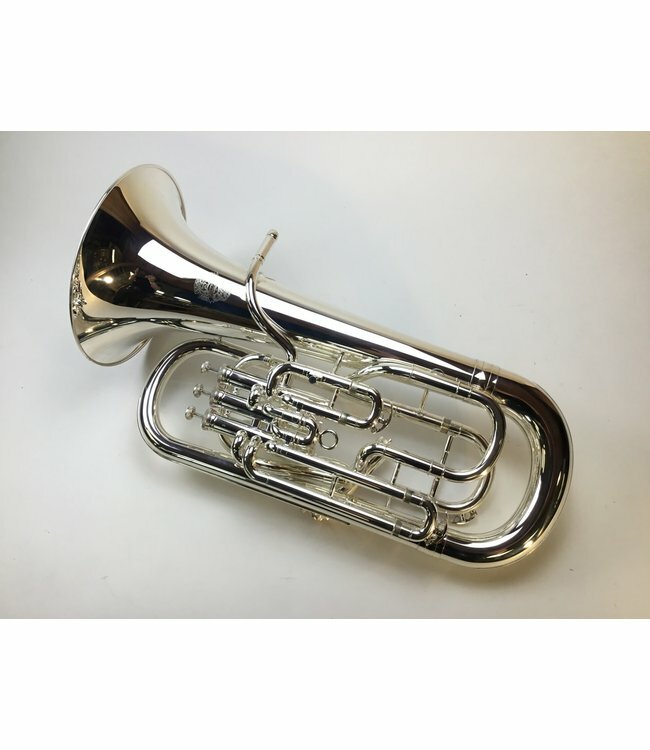 Demo Dillon DMB-967S Euphonium in silver plate. Instrument is in new condition with surface scratching and a dent in the hand rest bar. Includes original case.